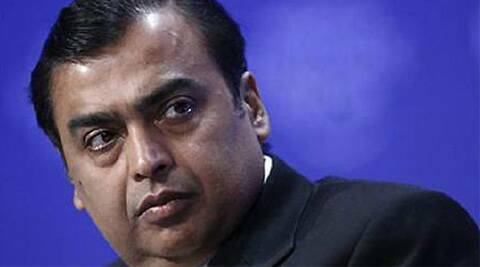 RIL executives refused to comment on the new management that will take over NW18 and TV18. India’s largest private sector company Reliance Industries Ltd today announced its acquisition of the country’s largest news broadcaster Network18 Group that through its subsidiary TV18 Broadcast Ltd operates a set of channels including CNN-IBN, IBN7, CNBC-TV18 and CNBC Awaaz. The group also operates ETV News Network that runs close to a dozen news channels in many regional languages. Sources said Network18 promoter Raghav Bahl and his wife Ritu Kapur resigned from the company following a spate of resignations through this week including that of Group CEO B Sai Kumar, CFO RDS Bawa and COO Ajay Chacko. In January 2012, RIL had extended an undisclosed amount of loan to Network18 Group in the form of optionally convertible debentures. The debt was routed through a newly floated entity, Independent Media Trust (IMT). The deal was shrouded in opacity and questions such as the tenure of the debt, the nature of the OCDs and if they were converted into equity, how much stake would IMT end up owning in the broadcast network remained unanswered. The only detail given out then was that Network18 Media and Investment Ltd (NW18) and its subsidiary TV18 Broadcast Ltd would raise Rs 4000 crore through rights issues. In its announcement today, RIL answered some of these questions. Its statement said that RIL will extend funds of up to Rs 4000 crore to IMT “for acquisition of control in NW18 including its subsidiary TV18.” It said IMT, of which RIL is the sole beneficiary, will use the funds to acquire control over NW18 and TV18 resulting in ownership of about 78% in NW18 and 9% in TV18. Subsequently, IMT will make an open offer to public shareholders for acquisition of equity shares of the two companies and another subsidiary Infomedia Press Ltd.
RIL is the country’s largest private sector company with revenues in excess of Rs 4 lakh crore and cash profit of around Rs 31000 crore. The Network18 Group is a media and entertainment behemoth with interests in broadcasting, films, digital media, e-commerce, publishing, mobile content and allied businesses. TV18 Broadcast also operates a joint venture with one of the world’s largest media and entertainment companies US-based Viacom called Viacom 18 which houses several entertainment channels such as Colors, Comedy Central, MTV, Nick, Nick Jr and Viacom18 Motion Pictures. It had a bunch of digital properties such as moneycontrol.com, firstpost.com and bookmyshow.com. The group also published the Indian edition of Forbes through a licensing arrangement. In the financial year ended 2013, NW18 had posted a net loss of Rs 151 crore on a turnover of Rs 2400 crore. TV18 had recorded a profit of Rs 85 crore on a turnover of Rs 1900 crore. Bahl’s exit came after a spate of job cuts in the group in the past one year. The group “let go” around 400 of its staffers earlier this year and a year ago, the founding team of its magazine Forbes India had quit amidst protests alleging forced change in their employment contracts. It is not clear if Bahl will continue to hold any stake in the group post its acquisition by IMT. Bahl did not respond to phone calls and an email sent by The Indian Express. RIL executives refused to comment on the new management that will take over NW18 and TV18. A slew of media professionals joined the company in the past three months including former Zee News CEO Alok Agarwal.